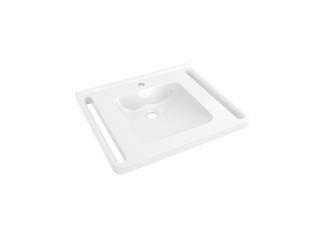 The accessible washbasins are convincingly comfortable and convenient to use and have a particularly hygienic design. Due to their flat shape, they can be used in both a standing and in a seated position. They are available with optional round or rectangular washbasin. The washbasin bowl is extra deep, so that it can hold a particularly large amount of water. The integrated gripping slots are positioned to the left and right of the bowl. Due to their ergonomic shape, they are pleasant to grip and support the user safely and reliably. 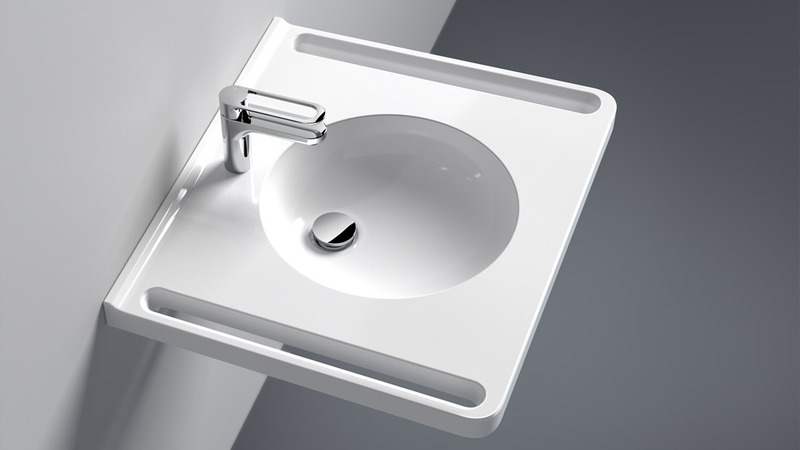 In addition to accessible comfort and convenience, the washbasins also have a convincingly hygienic design. They are made of mineral composite and provide and easy to clean, nonporous surface. They have no overflow They also have a rear lip. This prevents standing water on the silicone joint between the basin and the wall. 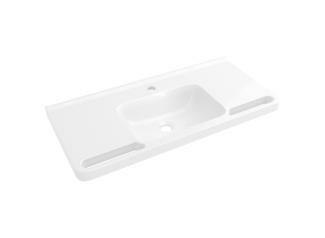 HEWI washbasins with rear lip are available in two different sizes. A round and a rectangular basin are available to choose from. 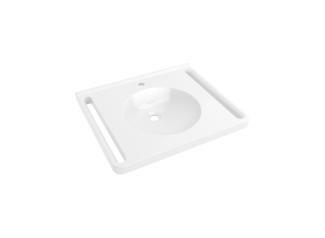 The washbasin is optionally available with one tap hole or wall-mounted fittings.